My broader areas of Interests are Human Genetics and Cancer Genetics. These are the areas where I have my basic training and experience. The involvement of advanced technologies like Next Generation Sequencing and other Omics technologies fascinated me to join this Ph.D program so that I can learn and employ these emerging technologies in my Ph.D as well as future research. I am currently working on transcriptomics and metablomics of a medicinal plant Solanum trilobatum, most commonly used in South India especially in Tamil Nadu as herbal preparation against cough, cold and chronic bronchitis. I am investigating the genes/transcripts responsible for the biosynthesis of secondary metabolites in Solanum trilobatum tissues using Next Generation Sequencing Technology (Illumina) and also carrying out its metablomic analysis using HPLC and LC/MS techniques. Arshad A Pandith , Shahnawaz A Sheikh , Shehjar Faheem , Mahrukh H Zargar , Tahir M Malla , Zafar A Shah , Adil Lateef et al., Identification of Unique Pattern of CFTR Gene Mutations in Cystic Fibrosis in an Ethnic Kashmiri Population (North India). Genetic Syndromes & Gene Therapy, 6:2, 2015. Arshad Ahmad Pandith, Adil Lateef et al., GSTP1 Gene Ile105Val Polymorphism Causes an Elevated Risk to Smokers for Bladder Carcinogenesis. Asian Pacific Journal of Cancer Prevention, Vol 14, 2013. Metablomic analysis of Solanum trilobatum phytocompounds responsible for its various medicinal properties. Awarded Senior Research Fellowship (SRF) by Indian Council of Medical Research (ICMR), New Delhi (July, 2018). Awarded Third Best Poster prize at 4th IIT Madras – Tokyo Tech Joint Symposium on “Frontiers in Bioinformatics: Large Scale Data Analysis, Resources and Drug Design” Organized by IIT Madras, India and Tokyo Institute of Technology, Japan (Nov, 2017). Awarded Scholarship for attending “2017 NextGen Genomics, Biology, Bioinformatics and Technologies (NGBT) Conference” by SGRF at Bhubaneswar, Odisha, India (Oct, 2017). Awarded Junior Research Fellowship (JRF-2015) by Indian Council of Medical Research (ICMR), New Delhi (2016). Qualified ICMR-JRF-2015 in Life Sciences. Qualified GATE-2014 with 99.3 percentile (AIR-75) in Biotechnology. Qualified CSIR-NET-LS with AIR- 42 in Life Sciences (2013). Qualified ICAR-NET in Animal Biotechnology (2013). Qualified ICAR PG entrance exam with AIR-107 in Animal Biotechnology (2011). Qualified SRMEEE-2011 with AIR-58 for admission to M.Tech degree program. Worked as a Guest Faculty for 2 years and 4 months (LL.B(Hons), LL.M & PG Diploma Courses),The Tamil Nadu Dr. Ambedkar Law University, SOEL, Chennai. Legislations in India – Issues and Challenges”, TNDALU 2017. One Day National Level Workshop on “Misleading Advertisements and Consumer Rights” TNDALU 2015. LL.M Business Law National Law School of India University, 2014. 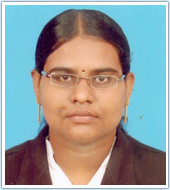 LL.B Business Law Sri Padmavathi Mahila Visvavidyalayam (Women’s University), 2011. Legal Profession and Communication Skills. With Rukma George, “Critique on The GATT/WTO Jurisprudence on Principle of National Treatment,” International Journal of Research and Analysis, Volume 2, Issue 5, 2015. ‘Competition law module for LL.M course”, to be run in Karnataka Open State University, Mysore, 2013. Aishwarya.C.R., "Privacy in cyberspace: Concerns and Challenges," Two – Day National Seminar on Information Technology and Law- Issues, Concerns, and Challenges, Department of Law, Osmania University, Hyderabad, 2016. Tackling the issues in High-Frequency Trading. Working as an Assistant Professor, SRM School of Law, SRM Institute of Science and Technology (formerly known as SRM University), Kattankulathur, Tamil Nadu, since August 03, 2015 to till date. Worked as a Legal Associate in a LPO from October 2014 to July 2015. 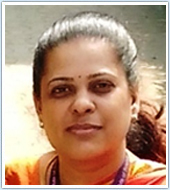 Worked as a student volunteer from September 2012 to May 2014 with Centre for Intellectual Property Rights Research and Advocacy (CIPRA)/ MHRD chair on IPR in various research activities and has been associated with the Research, Publication and Outreach Programme. Credit course on “Practical Aspects of Corporate Law in India”, Offered By M/s Khaitan & Co., March 2014. Worked as Volunteer in the Conference on “Advantages of the Madrid Protocol on Registration of Trademarks.’’ held on 31st July 2013. Worked as Volunteer in the International Conference on “Challenges for Objective Analysis of Patentability Criteria’’ held on 17th December 2012. 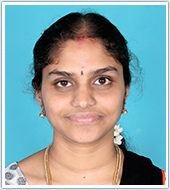 Awarded Gold Medal (ranked first) in LL.B(5ydc), Sri Padmavathi Mahila Viswavidyalayam, 2011. Venkataraman A, Radhakrishnan A, Dorronsoro C, Lundstrom L, Marcos S: Role of parafovea in blur perception. Vis Res. 2017; 138:59-65. Vinas M, Dorronsoro C, Radhakrishnan A, Benedi-Garcia C, LaVilla EA, Schwiegerling J, Marcos S: Comparison of vision through surface modulated and spatial light modulated multifocal optics. Biomed Opt Exp. 2017; 8(4):2055-2068. Vinas M, Dorronsoro C, Gonzales V, Corte D, Radhakrishnan A, Marcos S: Testing vision with angular and radial multifocal designs using Adaptive Optics. Vis Res. 2017; 132:85-96. Dorronsoro C, Radhakrishnan A, de Gracia P, Sawides L, Marcos S: Perceived image quality with simulated segmented bifocal corrections. Biomed Opt Exp. 2016; 7(11):4388-4399. Radhakrishnan A, Dorronsoro C, Marcos S: Differences in visual quality with the orientation of a rotationally asymmetric bifocal intraocular lens design. J Cat Ref Surg. 2016; 42(9):1276- 1287. Radhakrishnan A, Dorronsoro C, Sawides L, Peli E, Marcos S. Single neural code for blur in subjects with different interocular optical blur orientation. J Vis. 2015; 9(3): e93089. Radhakrishnan A, Dorronsoro C, Sawides L, Webster M, Marcos S: A cyclopean neural mechanism compensating for optical differences between the eyes. Curr Biol. 2015; 25(5): R188-189. Radhakrishnan A, Dorronsoro C, Sawides L, Marcos S. Short-term neural adaptation to simultaneous bifocal vision. PLoS One. 2014; 9(3): e93089. Padmanabhan P, Radhakrishnan A, Venkataraman A, Gupta N, Srinivasan B. Corneal changes following collagen cross-linking and simultaneous topography-guided photoablation with collagen cross-linking for keratoconus. Indian J Ophthalmol. Feb 2014; 62(2): 229–235. Padmanabhan P, Radhakrishnan A, Venkataraman A. Post-LASIK keratectasia triggered by eye rubbing and treated with Topography-guided ablation and collagen cross-linking – A Case Report. Cornea. 2012; 31(5):575-580. Padmanabhan P, Radhakrishnan A, Natarajan R. Pregnancy-Triggered Iatrogenic (Post-Laser In Situ Keratomileusis) Corneal Ectasia-A Case Report. Cornea. 2010; 29 (5): 569-572. Radhakrishnan A, Dorronsoro C, Pascual D, Marcos S. Visual perception and adaptation to Presbyopia correction, Young Researchers’ Vision Camp, June 2015, Leibertingen, Germany. Radhakrishnan A, Marcos S. La beca Marie Curie-Optica, Optometria e investigacion financiada. III Jornadas AEOptometristas, February 2015, Madrid, Spain. Radhakrishnan A, Dorronsoro C, Pascual D, Marcos S. Hand held vision simulator for evaluating visual and perceptual performance of Presbyopia corrections. International OSA Network of Students Conference, September 2015, Valencia, Spain. Radhakrishnan A, Venkataraman A, Dorronsoro C, Marcos S. Effect of object size on blur perception. 2nd IOSA Scientific Seminar series, June 2015, Madrid, Spain. Radhakrishnan A, Dorronsoro C, Marcos S. Perception and Neural adaptation to multifocal optical patterns. 4th Optical and Adaptational Limits of Vision Annual meeting, January 2015, Murcia, Spain. Radhakrishnan A, Sawides L, Dorronsoro C, Webster MA, Marcos S. Adaptation to contralateral differences in a blur. Visual and Physiological Optics conference, August 2014, Wroclaw, Poland. Radhakrishnan A, Dorronsoro C, Marcos S. Neural Adaptation to multifocal optics. 3rd Optical and Adaptational Limits of Vision Annual meeting, May 2014, Stockholm, Sweden. Radhakrishnan A, Sawides L, Dorronsoro C, Webster MA, Peli E, Marcos S Internal code for blur: Interocular Similarities. Association for Research in Vision and Ophthalmology Annual Meeting, May 2014, Orlando, Florida. Radhakrishnan A, Sawides L, Dorronsoro C, Marcos S. Adaptation to blur caused by Higher Order Aberrations, 2nd Optical and Adaptational Limits of Vision Annual meeting, July 2013, Santorini, Greece. Radhakrishnan A, Sawides L, Dorronsoro C, Marcos S. Adaptation to Simultaneous Vision. Young Researcher's Vision Camp, June 2013, Leibertingen, Germany. Radhakrishnan A, Sawides L, Dorronsoro C, Marcos S. Neural adaptation to simulated Simultaneous Bifocal Vision. 1st Optical and Adaptational Limits of Vision Annual meeting, September 2012, Madrid, Spain. Radhakrishnan A, Venkataraman A, Padmanabhan P. Cone Characteristics in Keratoconic Eyes Following Corneal Collagen Cross-Linking and Topography Customized Ablation Technology. 35th All India Optometry Conference, November 2011, Jaipur, India. Radhakrishnan A, Ramani K. Validity of Duochrome Test following Corneal Laser Refractive Surgery. ESO International Vision science and Optometry Conference, August 2010, Chennai, India. Radhakrishnan A, Rachapalle S, Padmanabhan P. Diagnosis and Grading of Keratoconus using Curvature, Elevation, Pachymetry and Aberration Data (Best paper award). Ruby Banik memorial presentation, September 2009, Chennai, India. Radhakrishnan A, Venkataraman A, Padmanabhan P. Unilateral Keratoconus: Does it exist? 10th International Meeting for Wavelight Users, May 2009, Munich, Germany. Radhakrishnan A, Ramani K. Visual Outcome Following Penetrating Keratoplasty. 8th Dr. EV memorial scientific session, August 2009, Chennai, India. Radhakrishnan A, Rachapalle S, Padmanabhan P. Evaluation of Corneal Ectasia using Elevation. 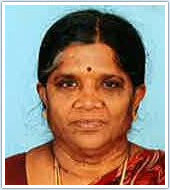 International Conference on Nanomedicine and Recent advances in Ophthalmic Research, September 2008, Chennai, India. Radhakrishnan A, Venkataraman A, Ramanujam P, Rachapalle S, Padmanabhan P. Anterior Corneal Aberrations in Keratoconus (Best paper award). 33rd All India optometry Conference, October 2007, Goa, India. Radhakrishnan A, Rachapalle S, Padmanabhan P. Detection of Corneal Ectasia using Keratometric and Pachymetric data. 33rd All India optometry Conference, October 2007, Goa, India. Radhakrishnan A, Ramani K. Comparison of Recognition Acuity and Counting Acuity. 5th Dr. EV memorial scientific session, August 2006, Chennai, India. Radhakrishnan A, Dorronsoro C, Pascual D, Marcos S: Vision with different presbyopia corrections simulated with a portable binocular visual simulator. With Seemakurthy K and Rajagopalan AN, "Face recognition and identification with Underwater blur"
With Rajagopalan AN, "Chromatic blur at different retinal eccentricities"
Instructor, Basic Visual Optics, February 2012-May 2016, IOSA (Institute of Optics-Optical Society of America) student Chapter, Madrid, Spain. Lecturer, Physical optics, Geometric optics, and Introduction to Computer programming, August 2008-August 2011, Elite School of Optometry, Chennai, India. 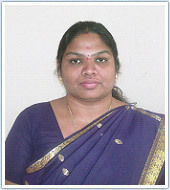 Clinical instructor, Corneal diagnostics, August 2008-August 2011, Elite School of Optometry, Chennai, India. Founding partner-2Eyes Vision S.L (June 2015). Post-Doctoral Research Fellow, October 2016-October 2017, Image processing and Computer Vision Lab, Indian Institute of Technology Madras, Chennai, India. Researcher, March 2015-May 2016, Visual Optics and Biophotonics Department, Institute of Optics-CSIC, Madrid, Spain. Early Stage Researcher, February 2012-February 2015, Visual Optics and Biophotonics Department, Institute of Optics-CSIC, Madrid, Spain. Optometrist, August 2008 - October 2011, Department of Corneal Diagnostics and Refractive Surgery, Medical Research Foundation, Chennai, India. Part-time Optometrist, August 2006 – August 2008, Department of Corneal Diagnostics and Refractive Surgery, Medical Research Foundation, Chennai, India. National conference on Emerging Trends in Life Science Research, 2009.
International Meeting for Wavelight Users, 2009.
International Conference on Nanomedicine and Recent advances in Ophthalmic Research, 2008. All India Optometry Conference, 2007, 2011. Dr. EV memorial scientific session, 2006-2011 and 2016, Chennai, India. ESO International Vision science and Optometry Conference, 2005 and 2010. Initial Training Network OpAL Winter school, Universidad de Murcia, Spain. Adaptive Optics for single cell psychophysics and SLO, 21 - 22 Jan 2015. Initial Training Network OpAL Winter school, Universidad de Murcia, Spain. Hands-on training in Zemax, 21 Jan 2015. Initial Training Network OpAL Summer school, Royal Institute of Technology, Stockholm. Psychophysics ‐ Modeling Psychophysical Data with Likelihood and Bayesian approaches, 26 - 27 May 2014. Initial Training Network OpAL Complementary Skills Course, Royal Institute of Technology, Stockholm. Intellectual Property Rights, Personal Leadership, Managing Stress and Introduction to peer review, 19 - 21 May 2014. Initial Training Network OpAL Summer school, Royal Institute of Technology, Stockholm. Introductory Statistics Course, 19 - 20 May 2014. Initial Training Network OpAL Summer school, Santorini. Optical and Adaptational limits of Vision, 7-8 July 2013. Runner-up, Justiniano Casas award, Sedoptica-Spanish Optical Society, 2018, Castellon, Spain. Irvin M Borish-Essilor Ezell fellow, American Academy of Optometry, 2016, Anaheim, California. Marie Curie Fellowship for Early Stage Researcher, ITN Optical and Adaptational Limits of Vision, February 2012 – February 2014, Institute of Optics, Madrid, Spain. Ruby Banik award for the best research paper in Ophthalmology and vision science, Medical Research Foundation, 2009, Chennai, India. 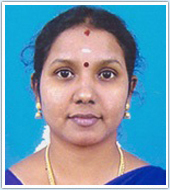 Sri R Sivaraman Memorial Endowment Prize for the best research paper in M. Phil., Elite School of Optometry, 2008, Chennai, India. Best research paper award for “Anterior corneal aberrations in Keratoconus”, 33rd All India optometry Conference, 2007, Goa, India. Sri S M Mehta award for excellence in Nutrition, Elite School of Optometry, 2006, Chennai, India. First prize in Bausch & Lomb Optometry Quiz - National level, 2005, Khajuraho, India. “Impact of Non-Monetary Employee Benefits on Motivation”, International Journal of Management and Social Science Research Review, Jan 2016. “Role of Information and Communication Technology (ICT) in Knowledge Management in Service Industries”, Conference proceedings of Sri Kaliswari College, Sivakasi, January 2016. “Communication in Change Management”, Conference proceedings of International Conference on Scenario of Change Management in Business, 2016. “HR Challenges in Globalized Era”, International Journal of Business Intelligence and Innovations, January 2016. “A Relationship Between Employee Benefits and Motivation - A study with reference to Information Technology Companies in Chennai City”, DBJC Journal of Business Research, Jan-Mar 2016. “Perception of employees who are with an IT Organization for 10 years and more”, International Journal of Science, Technology and Management, May 2015. 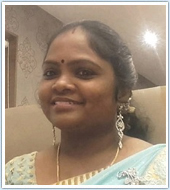 “Preference of work location of women employees- A study in a Knowledge Management Organisation in Chennai”, Conference proceedings of Madras Christian College (SFS), September 2015. Assistant Professor, Department of Commerce, Prince Shri Venkateshwara College of Arts and Science, Chennai (November 2017 to April 2018). Executive (Human Resources) in Hexaware Technologies, January 2008 to November 2009. Executive (Human Resources) in Apollo Health Street, January 2007 to October 2007. Intern (Human Resources), HCL Technologies Limited, July 2005 to May 2006. Standard elements of order 2 in lattices, International journal of acta mathematica Hungaria. Semi super modular lattices, Madras University. Grammarly Workshop, in February 8th 2016. National conference on convergence on big data and cloud computing,March 2014. National level workshop on “Advances in positioning, Navigation and Communication”- APNC 2013. Workshop on Elastic technologies of cloud computing, August 2013,August 2013. Scheduling task graph with sensitive data using task duplication in Clouds, 2016. Assistant Professor (O.G) ,July 2008-June 2017, 9 years. Member in Institution of Engineering and Technology, Annually. Member in Indian Science Congress Association (ISCA), Life time Member. Repercussion of Noni Mouthwash on surface characterization of Nickel-Titanium archwire. IJDR 2017. 1st prize in “Pre-Adjusted Edgewise Technique” in National integrated typodont workshop, Ahmadabad, September 2016.